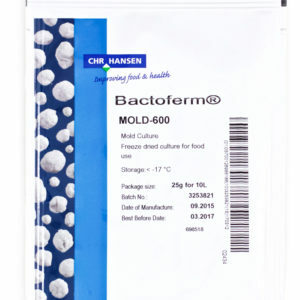 Bactoferm™ B-LC-007 is a patented culture blend capable of acidification as well as preventing growth of Listeria. The culture produces pediocin and bavaricin (think of them like a kind of “antibiotics”) that keeps Listeria monocytogenes at safe levels by the additional hurdle thrown at it. 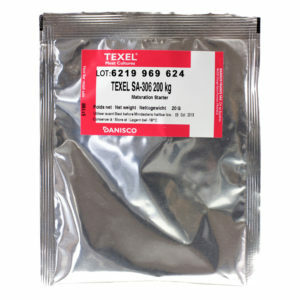 It is recommended to use this culture at low fermentation temperatures between 64-75ºF for the production of European style products with very low acid profiles. This culture makes T-SPX obsolete due to all the additional beneficial strains that come with it. You want the added yeast and both cocci strains for flavor development predominantly, and this blend has it all. Because the fermentation temperature is low as well we suggest this culture is a game changer by offering so much more than T-SPX. 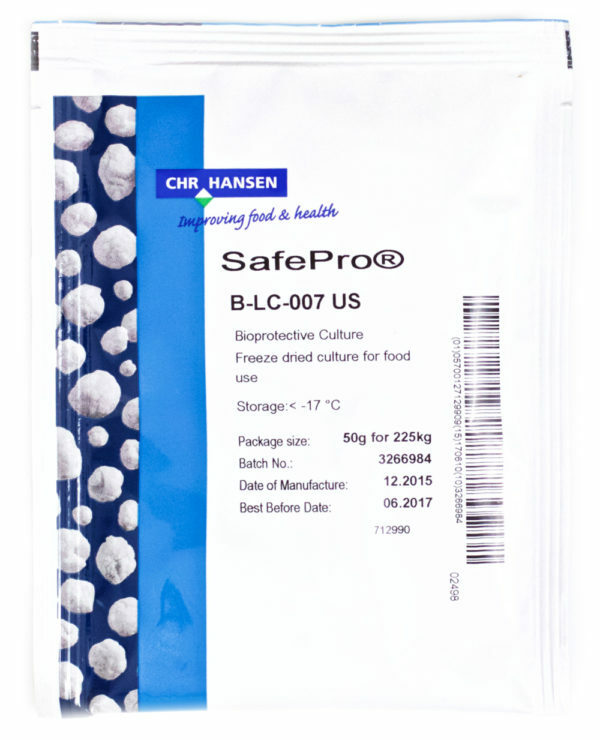 This blend offers added Listeria protection, where T-SPX does not. Both forms of cocci bacteria work together in developing the characteristic flavors of fermented sausages, while also reducing the residual amount of nitrite in your product due to their secretion of enzymes that cause the reduction of the residual nitrite in the sausage. 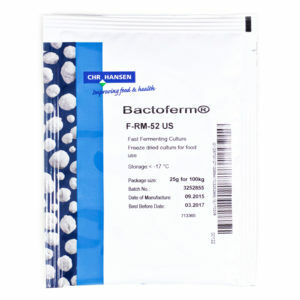 So you end up consuming less in the final product than using a culture blend with these beneficial bacteria. B-LC-007 is truly a superior culture to use for low temperature fermentation. Sold in a 50g bag which is enough to ferment 495# of meat. Use 0.022% the weight of the meat. Meaning, measure your meat in grams, then multiply the weight of your meat by 0.00022. This number is the proper amount of culture to add to you meat. To disperse evenly we recommend hydrating the culture for 25 minutes in 60 mL of distilled water. For every 5# of meat use 30mL of distilled water to hydrate and disperse the culture. It is best to add the culture when spiced meat is in chunks, mix around, then grind to desired particle size. Mix evenly after grinding. 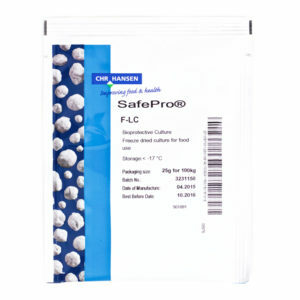 Always store your cultures below 1ºF for a shelf life of 18 months. If stored above 41ºF the shelf life is 6 weeks.